WhenEllie meets Will, she feels on the verge of remembering something justbeyond her grasp. His attention is intense and romantic, and Elliefeels like her soul has known him for centuries. On her seventeenthbirthday, on a dark street at midnight, Will awakens Ellie’s power, andshe knows that she can fight the creatures that stalk her in the grimdarkness. Only Will holds the key to Ellie’s memories, whole lifetimesof them, and when she looks at him, she can no longer pretend anythingwas just a dream. Ellie has powerthat no one can match, and her role is to hunt and kill the reapersthat prey on human souls. But in order to survive the dangerous andancient battle of the angels and the Fallen, she must also hunt for thesecrets of her past lives and truths that may be too frightening toremember. Ellie is a Preliator, the only mortal with the powerto fight Reapers. Reapers come in many different forms. Some look like animals(huge, vicious, snarling animals), and some, like the vir, can masquerade ashuman. When Will awakens her powers onher seventeenth birthday, she is drawn into a fight among angels and demons that can destroy thehuman race. Angelfire is told in first person from Ellie’sperspective with interludes to her past and her dreams. There’s just somethingabout Ellie that’s very appealing. It could just be that most of us, at onetime or another, has dreamed of realizing that we have otherworldly powers, canfight like a ninja, and have a set ofknives that shoot angelfire! I mean, how cool is that? There’s also romantictension between Ellie and Will, but it’s not overdone or trite, and adds awonderful thread to the story. All in all, Angelfire was a good read, and I’m lookingforward to the next novel in the series! 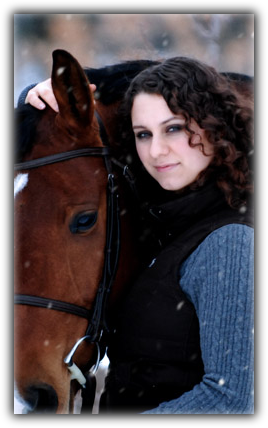 Courtney Allison Moulton lives in Michigan, where she is a photographerand spends all her free time riding and showing horses. She has alwaysloved reading about ancient mythologies, studying dead languages, andtelling scary, romantic stories. Angelfire is her debut novel. angelfire, angels, book review, courtney allison moulton, demons, early review, fantasy, ya. Valentine’s Day Books With Love Giveaway Hop! Interview and Giveaway with Hank Schwaeble, Author of Damnable! Enjoyed your review. Angelfire sounds like a super read. Good luck to a debut author who has talent. i just won this book from netgalley! so EXCITED! Thank you for the review! I'm want to read this book so bad! Great reveiw. I love the hats. I've wanted to read this for a while, I'm glad you liked it.